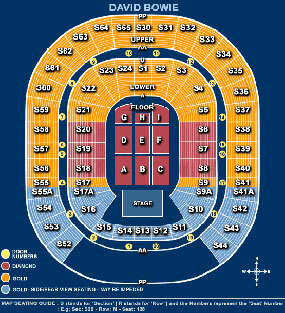 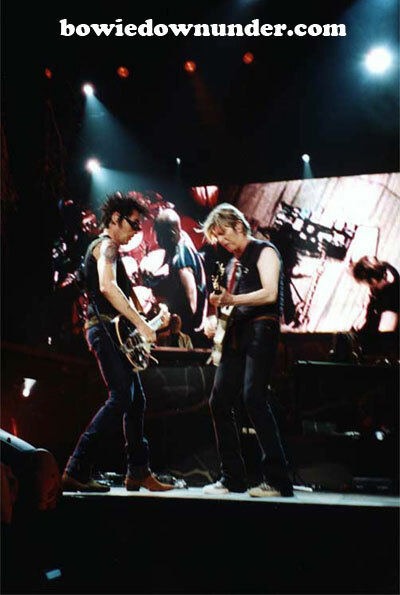 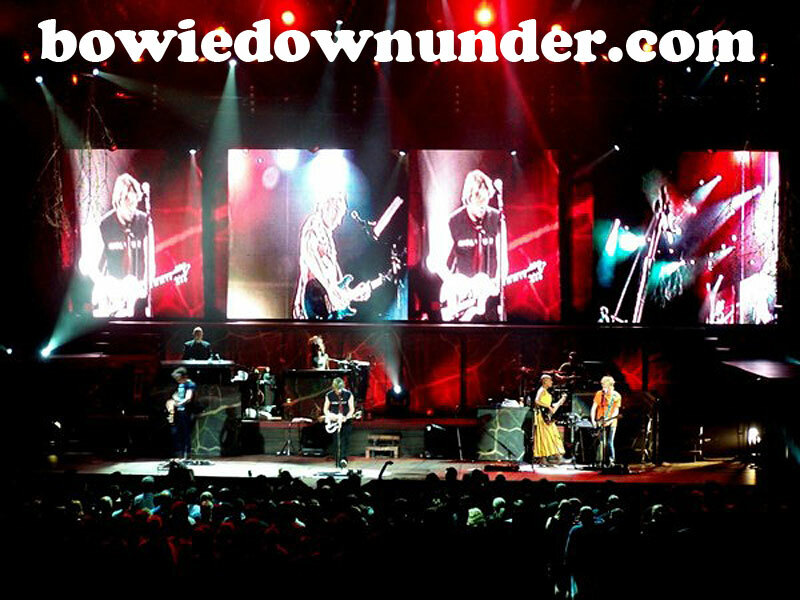 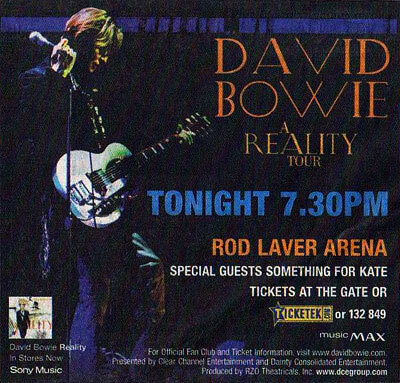 The 14,820 capacity Rod Laver Arena had the honour of staging two back-to-back Reality concerts. 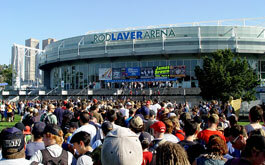 Built in 1988, the venue is well acquainted with international rock acts but most notably it is the home of The Australian Open tennis championship. 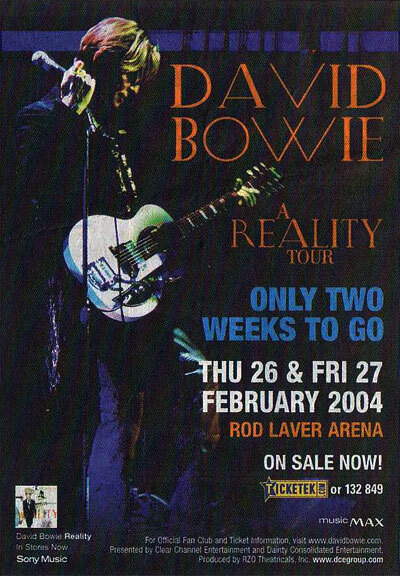 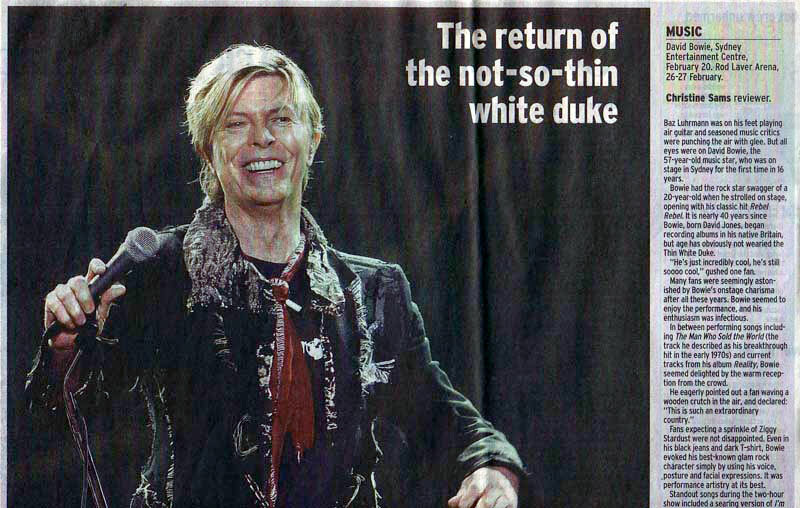 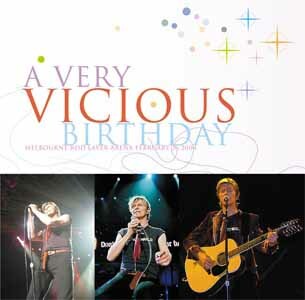 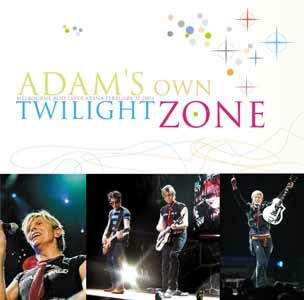 The night of February 26, however, marked the first occasion that David Bowie would play a concert at the arena. 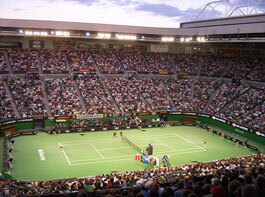 Above: Melbourne Advertisements. 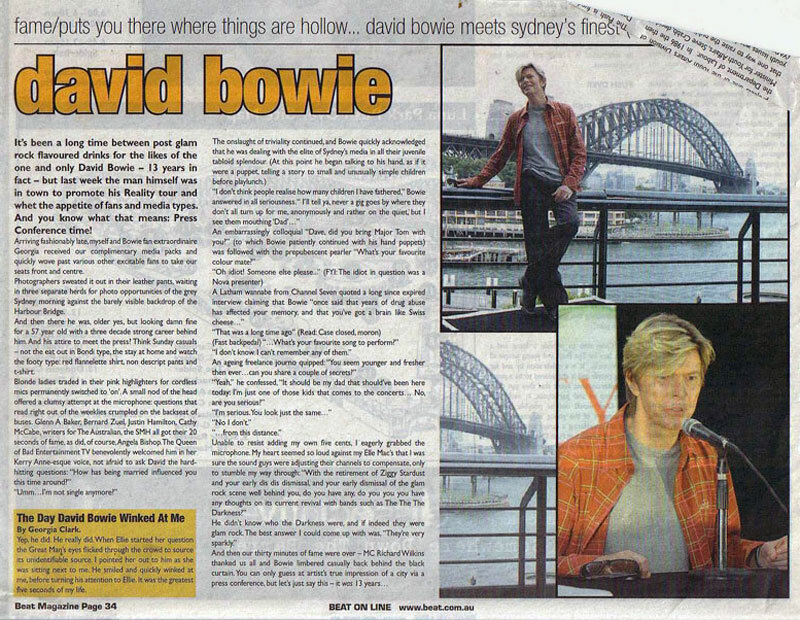 Items from Bruce Butler's collection. 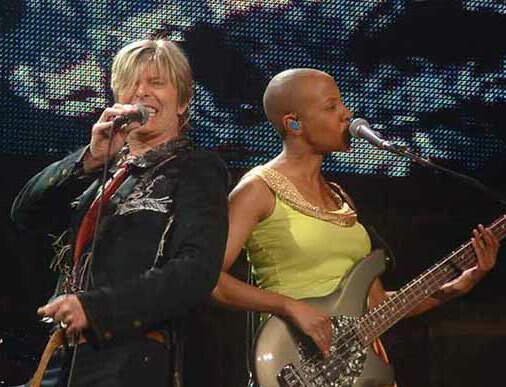 On the first night, Bowie's bassist - Gail Ann Dorsey (a huge tennis fan) - made note of the venue they were playing in by appearing on stage with a giant sized tennis ball. 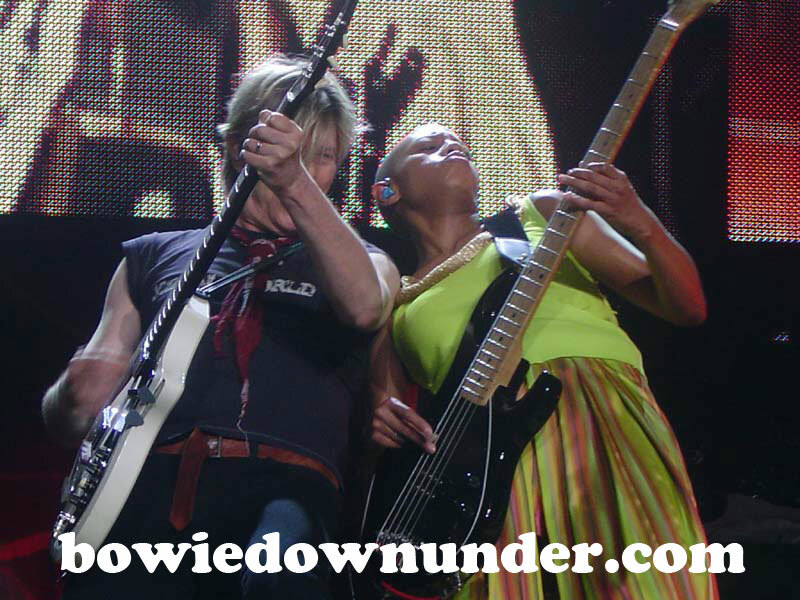 Left: Bowie and Gail Ann Dorsey. 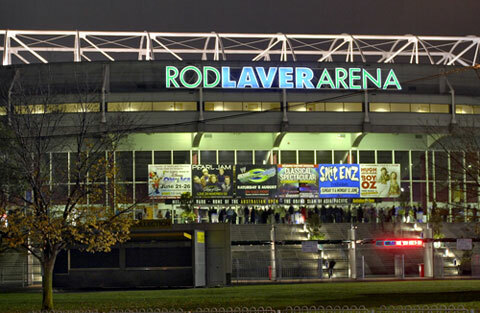 Right: Rod Laver when in "tennis mode". 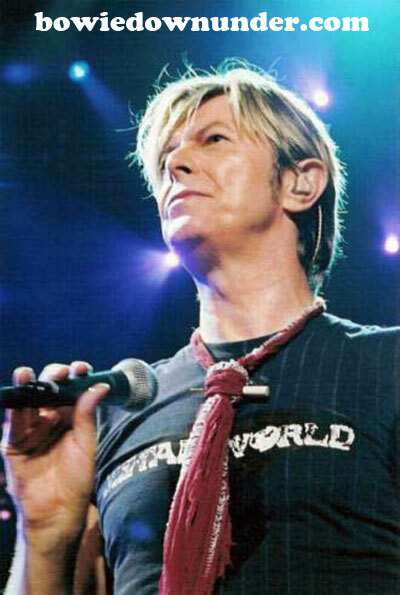 Early in the concert, Bowie noticed a girl wearing a tiara in the front rows and later on, he addressed more people for their 'very cool outfits'. 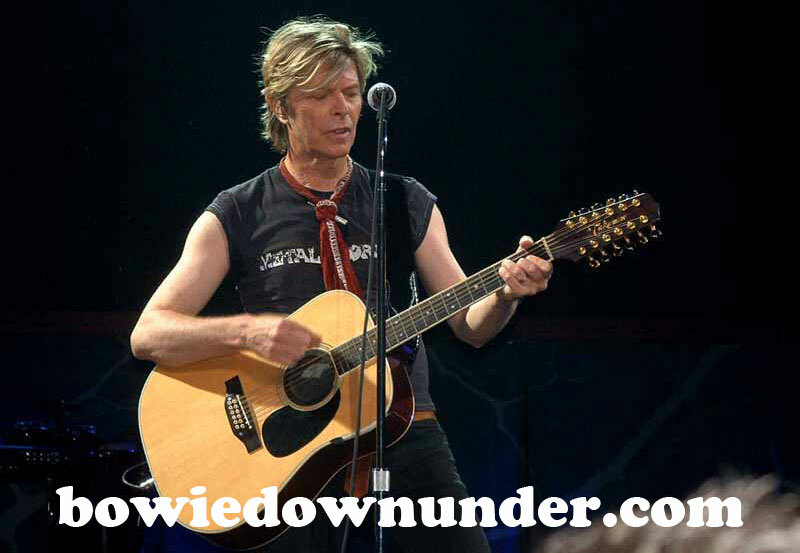 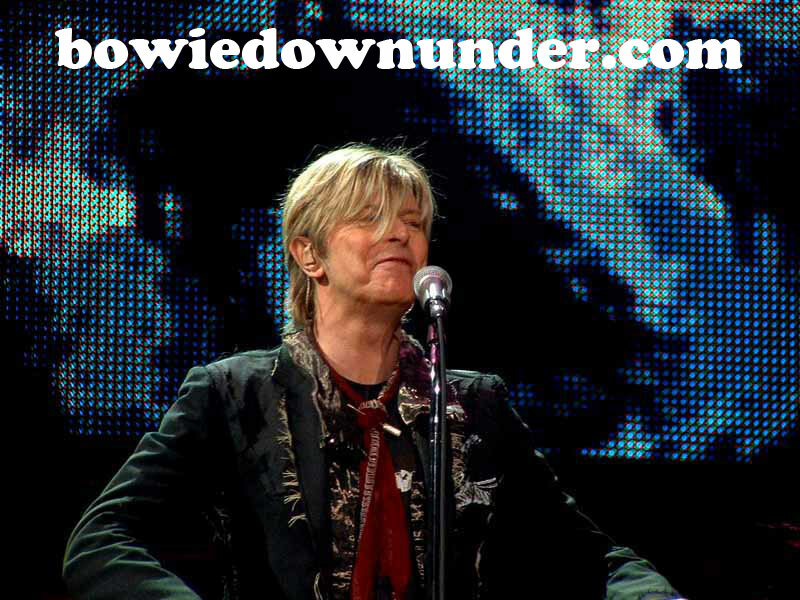 Bowie proceeded to play a solid show even if there were no new songs added from the previous downunder concerts. 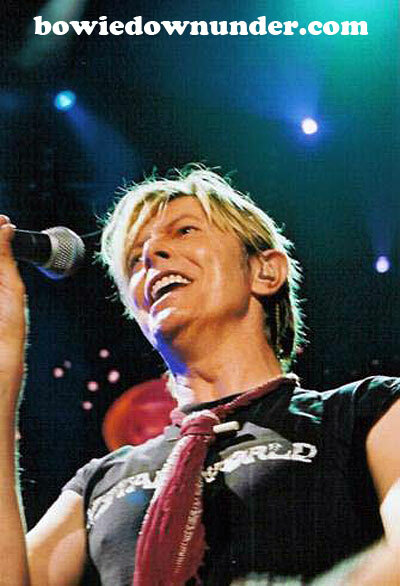 Finally, Bowie closed the first night with a triple-header from Ziggy. 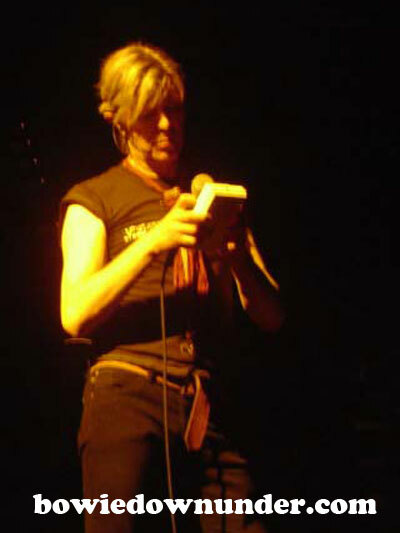 Having already played Hang On To Yourself and Starman earlier in the set, Bowie approached the mic to sing Five Years, Suffragette City and Ziggy Stardust. 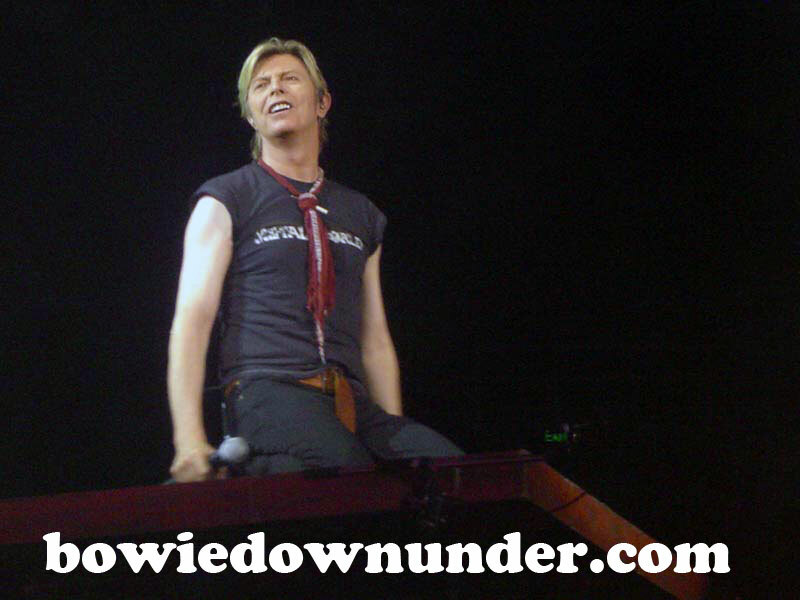 Above: Bowie at Rod Laver. 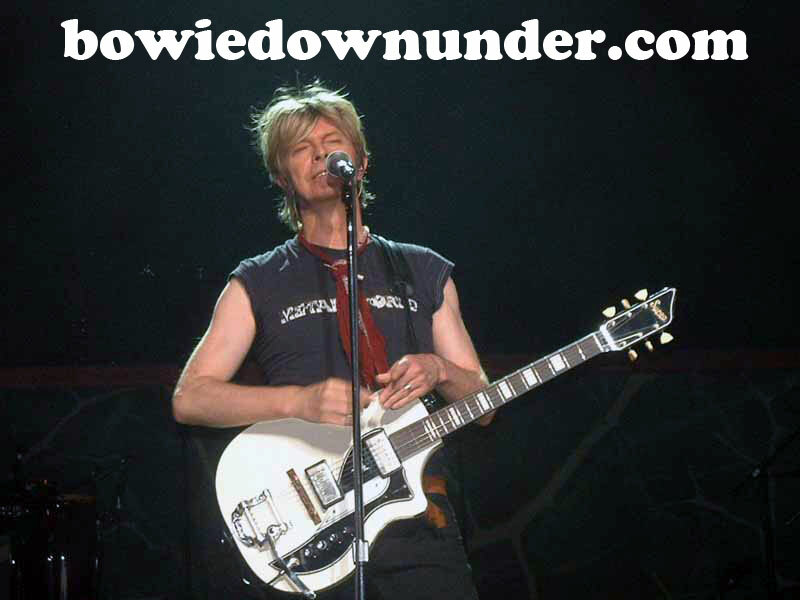 On the second night in Melbourne, Bowie opened as usual with Rebel Rebel and New Killer Star but then announced he'd done some sprucing up of the set list. 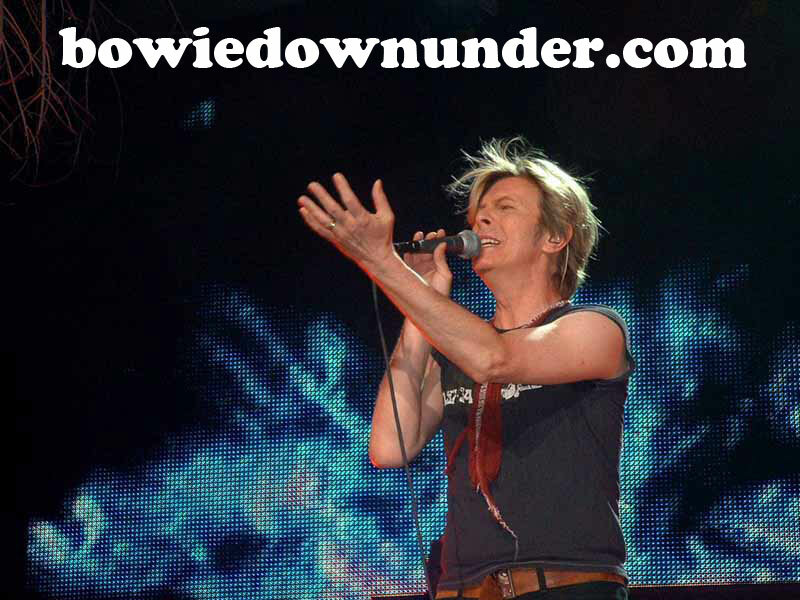 Right away came the opening strains of Fashion - a first for the downunder portion of the tour. 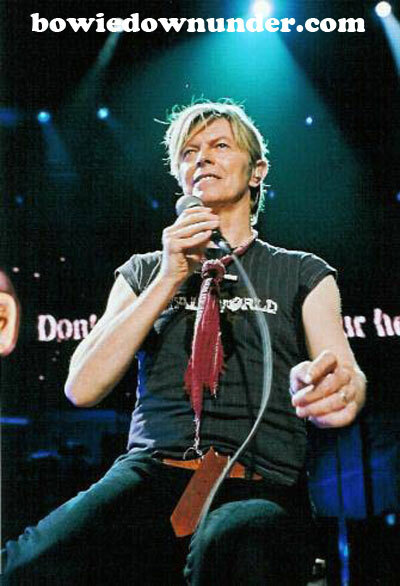 A few songs later came China Girl and about the time Bowie would usually announce how poor the audience sounds (as they make a futile attempt to sing the words), Bowie stopped, listened for a while and a look of surprise came over his face. 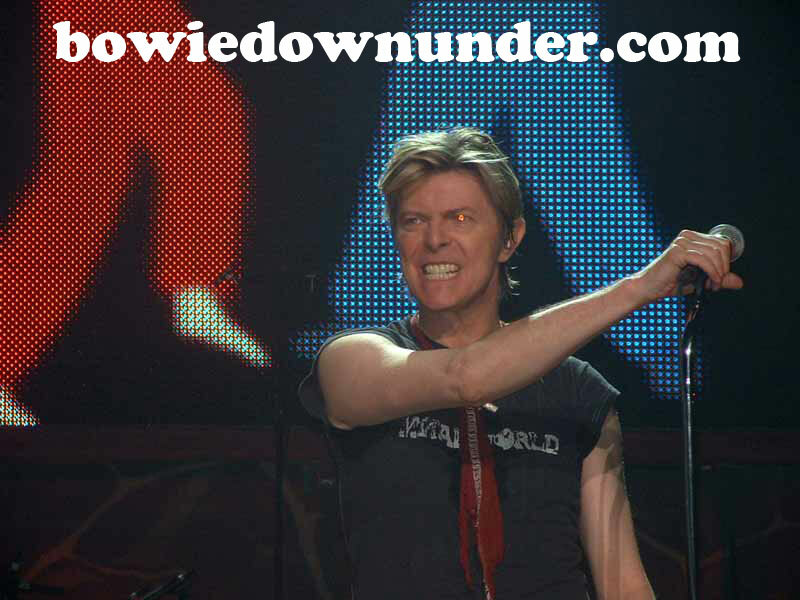 He then announced that Melbourne was the first and only audience in the world capable of singing China Girl correctly. 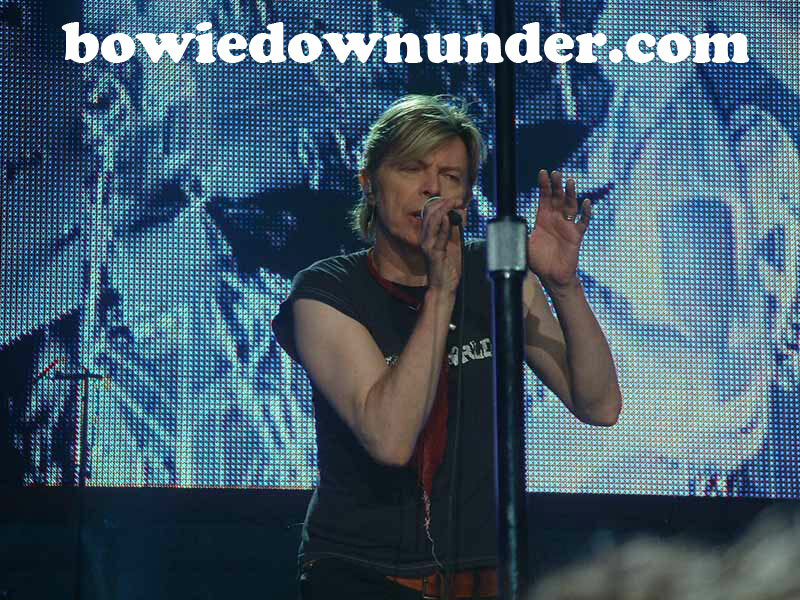 Following China Girl, two Bowie Downunder members (Bruce and Julie) decided to throw toy marsupials on to the stage. 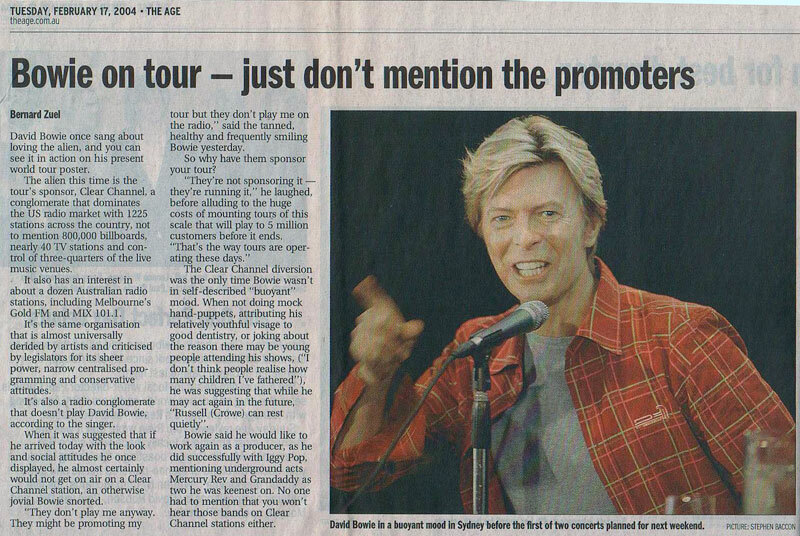 It was then Bowie announced that he was being 'rained on' by marsupials before incorporating it into a short news spiel and something about The Twilight Zone. 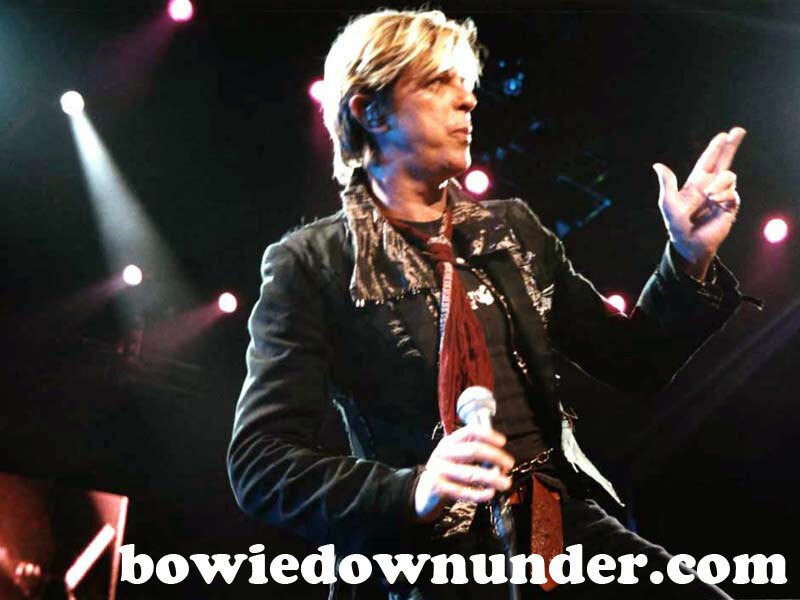 As per the second Sydney concert, Bowie again did Let's Dance first with the slow, jazzy intro before breaking into the full blown rock/pop song most are familiar with. 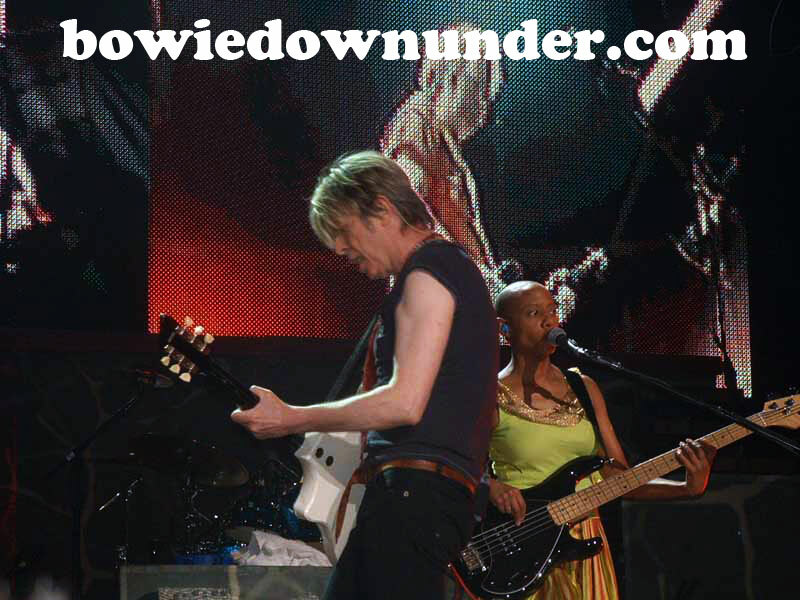 Later on, Bowie surprised the audience further with two double headers from Heathen and then four back to back numbers from Low. 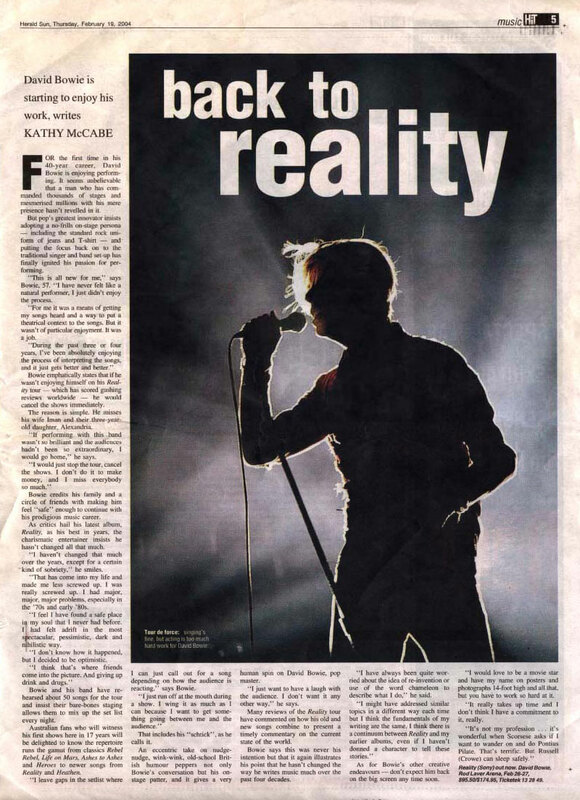 The song Never Get Old and the classic Changes also debuted for the very first time on Australian soil. 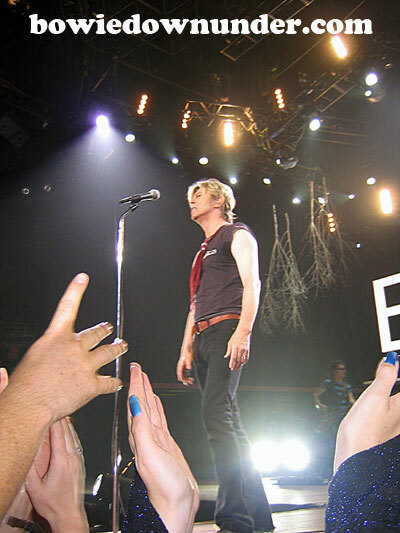 Thanks to BDU members that sent in the following. 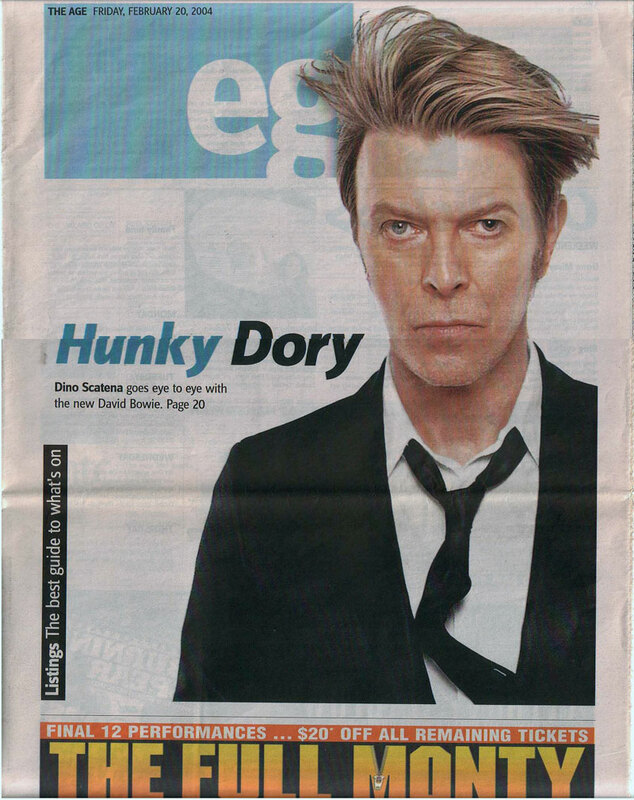 If any of these are your images, please email me so I can credit you accordingly. 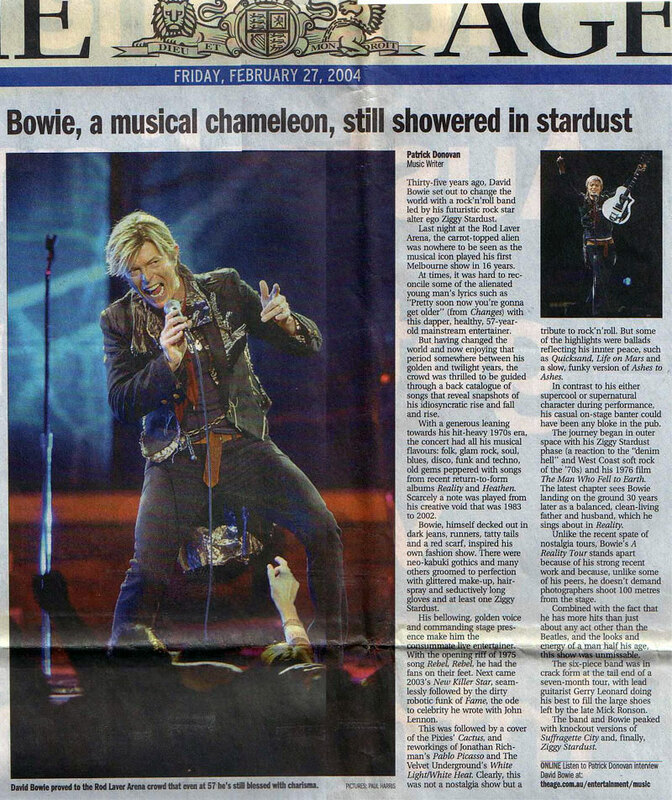 Thanks to Bruce Butler for collecting the following. 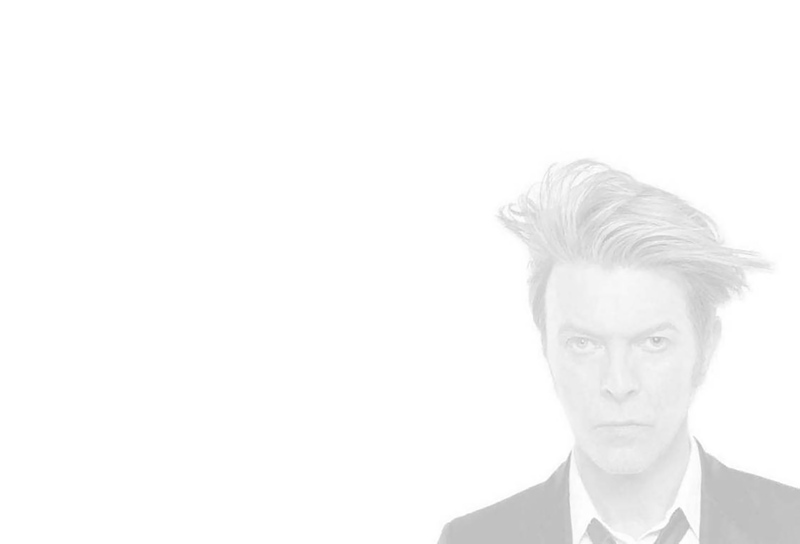 Feb 26 - More details here. 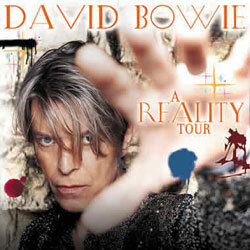 Feb 27 - More details here.